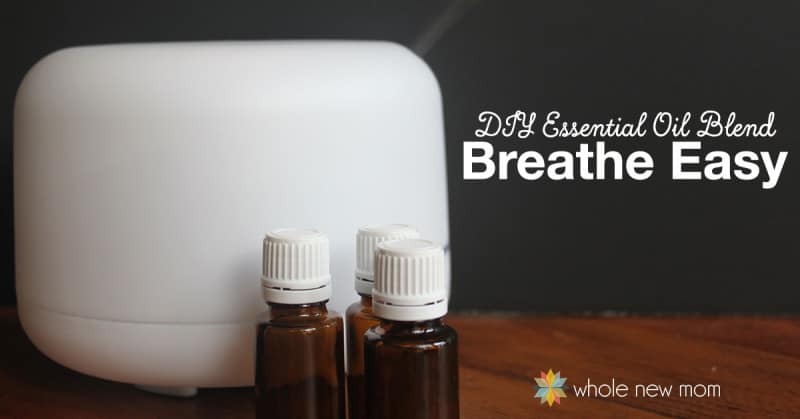 Are you wanting to start using essential oils, but you don't know where to start? 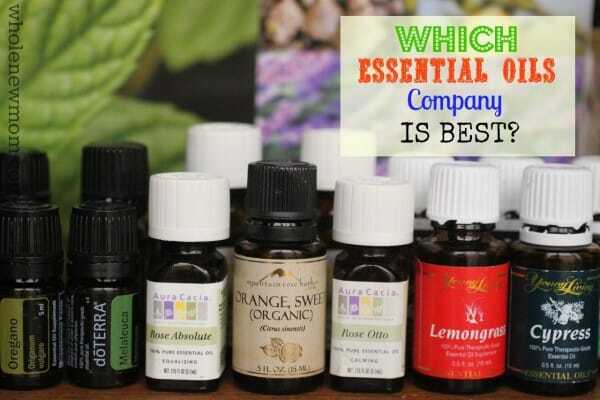 You're ready to buy, but don't know what company has the best essential oils? Essential oils are all the rage these days. People say that they can do everything from being a natural ear infection remedy, to helping with weight loss, to healing eczema, and more. From all the comments and enthusiasm about these and other posts, I can tell you are just as interested in learning about essential oils as I am. You can tell by those posts that I am a skeptic at heart and pretty detailed when it comes to sorting through all the information out there to find out what really works. One of my readers (a friend of mine) once called me an “investigative reporter” of sorts. I'm not sure which one is right :). In one sense, second guessing is a good thing. I've saved our family a lot of money by avoiding problematic purchases. With the essential oils issue, I tried not to be too analytical at first, and simply used what had worked. But then, things changed. In the Are Essential Oils a Scam? – A Skeptic Looks at Thieves Oil, I shared how I held off trying really any essential oils at all for years before trying Thieves® from Young Living. This time around, before buying the Thieves oil and signing up as a Young Living Distributor, I dug around a little, but not too much. I asked about all the rumors surrounding Gary Young, the founder of Young Living and I also asked some questions about purity of essential oils. I got some satisfactory answers and I figured that well, this stuff worked really well. And I was thrilled to have great resources in my natural health care arsenal. I mean, who wants to put more toxins in your body if you don't have to, right? However, after my post on Young Living's Thieves and the other oils (Wintergreen and Peppermint, etc. ), a number of readers started asking me about other oil companies–if they were good enough, or not that great. And so I too started wondering. But the “investigative reporter” in me just couldn't leave. it. alone. So I started poking around. 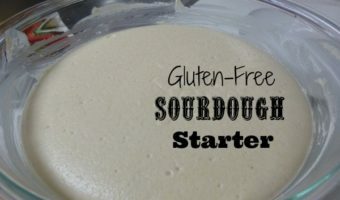 Today I'm sharing with you the beginning of my investigation. There were some essential oils companies that I knew of, and some that a few readers recommended to me. One of my readers was a doTERRA rep who said I really should check out their company to see how it measured up to Young Living. Little did I know what lay ahead of me. The world of essentials oils is big. Very big. (UPDATE: A lot changed after I started this series. 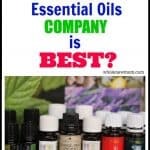 Please follow the links at the bottom of this post to see how interesting everything got – you can hop on over to read Part 2 of “The Best Essential Oils” here. North American Herb and Spice, and on and on.My head really started to spin with all of the phone calls and notes I was taking, but I started with just those listed above and went from there. There are a TON of essential oils companies out there. After writing this series I felt like I really opened a can of worms, but these are the companies that I started with. Hang with me – it gets pretty interesting from here on out. I'm updating this post years later to add important information. I do not have all of the information in this series on why I didn't choose certain companies so I would appreciate you not accusing me of coming to silly conclusions. I have gotten threatening emails (some of they cryptic threats), and have been warned about being sued if I published certain things. My family is important to me and while I don't like to succumb to this kind of bullying, I have to weigh the cost of all of this. I am trying to be as up front as I can about my decisions. Just know that what you are reading here is not the whole story. Following are some of the companies that I looked into. I first tried Young Living when I thought that essential oils were a scam. I used them for awhile and since I wanted to get as much savings as possible on the oils, I purchased monthly, took advantage of discounts, and stocked up quite a bit. Just before starting this series, several of my readers told me that I should really look into doTERRA as well, before making a hard and fast decision about which company to go with long term. So, I signed up with doTERRA as well. I like Mountain Rose Herbs' mission and have a few bottles of their oils. When I contacted them they told me that they did not recommend internal use of their oils as they were not produced in a food grade facility. Much later (after this whole series was done) I contacted them again and they said that this was not the case. I need to do more looking in to their sourcing, etc. This seemed like a good company to check out, but I ran into quite a bit of trouble getting information from them. When I called to ask them a number of questions, I was able to get some information, but then I was told that they didn't have time to talk with me. When I first contacted this company, I thought that their prices seemed a little high for a non MLM (multi-level marketing) company, but the more I talked to them the more interesting it all got. You'll have to read more in the series to see what happened. THE VERDICT: Probable high quality with no apparent earnings opportunity. Need to check into this company more. From all I could figure out, this is a great company. Trouble is, all they make is oregano oil. So if you just want oregano oil, then this is a good place to turn. THE VERDICT: Oregano is a pretty amazing oil, but I want more than just that in my natural healing arsenal. Aura Cacia is adamant about not using their oils internally. I personally have a number of Aura Cacia's oils that I bought prior to really digging into oils. I can't say anything except for my personal experience which is that they don't smell as potent as some of the other oils that I have. I do like the company and I purchase from Frontier Co op regularly, but I'm not choosing to get my oils from them. That being said, I think that they have a lot of great information about oils and their use. Well, this is a long enough post already – thanks for sticking with me! Onto the other competitors in the next post and see what happens! Looking for more information on Essential Oils? There are so many books out there on essential oils, that it's hard to know what to buy. I have a bunch, but this one, Advanced Aromatherapy, is in my shopping cart at Amazon now. It comes very highly recommended from many aromatherapists. 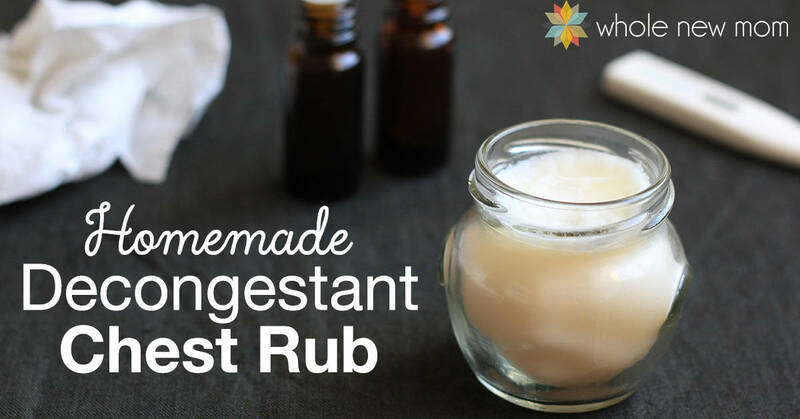 At the bottom of each of my posts in this series are books or other kinds of products that I love that relate to essential oils. 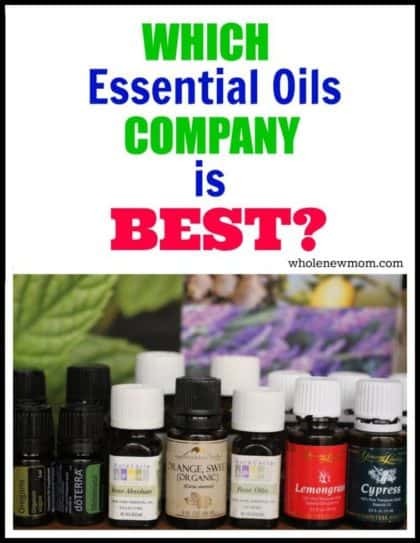 Which Essential Oil Company Do I Prefer? 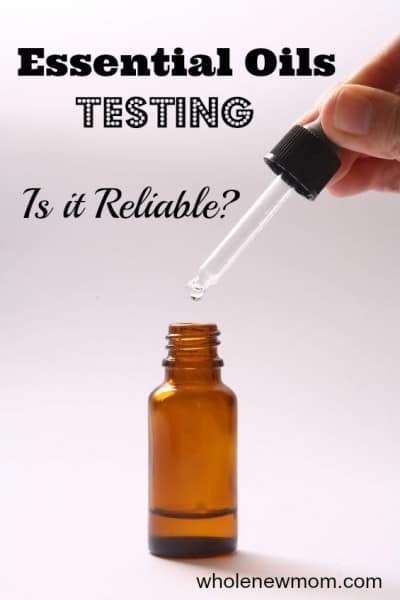 or read this post on Essential Oils Testing which gives you more information on how essential oils are tested for purity. I did see your recommendation for “EDEN’s GARDEN” only because of the photos that were posted indicating such. Also, I can see you did an enormous amount of research as you gave an awful lot of information and thank you for that. However, I found all the links taking me in circles though to what I had already read . I’m still not exactly sure though why you chose “Edens Garden. I am guessing it was because of the 11 Signs you posted regarding what to look for in a quality EO. I feel that I now need to research into Eden’s Garden to confirm those signs for myself. So sorry, but as a nurse and researcher myself, my goal in adding this comment is not in any way to be negative but instead to offer a constructive approach as to how you could have better secured me as a customer. Have you checked out Aromahead? I was wondering how they compare to doTerra and Young Living. Is that the name of the essential oil company? I think you might have it wrong. Aromahead is a learning institution. Not a maker/distributor of oils. Aromahead was the inspiration (in a round about sort of way) for Aromatics International, which sells oils, etc. Yes, I knew that. I’m looking around — thank you! Where do I order oils in bulk? How much bulk do you need? How many mls? I am taking Dr. Josh Axe’s Essential Oil Institute for certification. I have purchased his Ancient Apothecary essential oils that he sells. Am having difficulty finding comparison with other oils such as Young Living, Doterra, etc. Once I complete the Institute classes, I want to jump right in with sharing and teaching. And one of the questions will be how does Ancient Apothecary compare with other oils. Have you any information? Comparing different companies can be confusing but that should give you some good information. Im surprised you didn’t mention Plant Therapy essential oils. Plant Therapy has awesome essential oils, and not a mlm business! Therefore, affordable…. also their blends are created by renown Robert Tisserand. I’m inundated with other personal and professional things but I have started working on this again as I have been able.